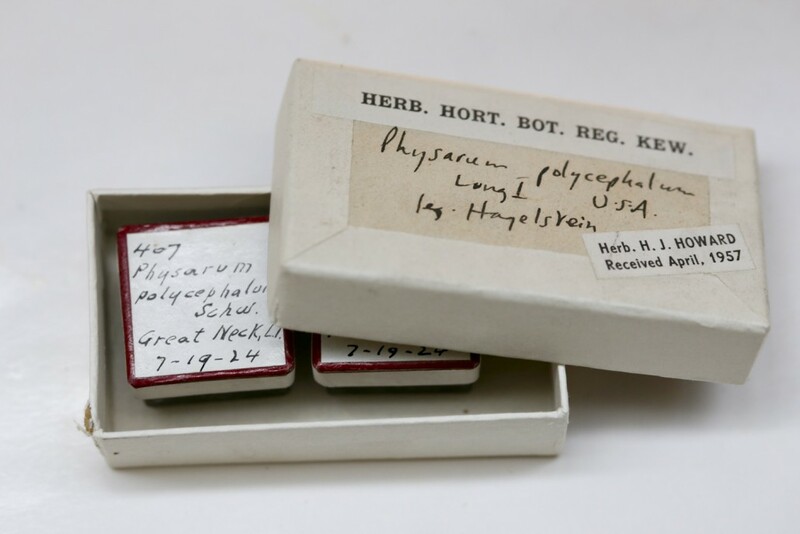 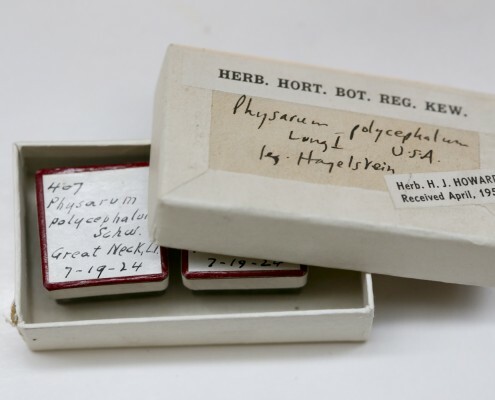 I recently spent a day in the Fungarium at Kew Gardens courtesy of Fungal Biology Specialist, Bryn Dentinger and Fungarium Collections Manager, Angela Bond. 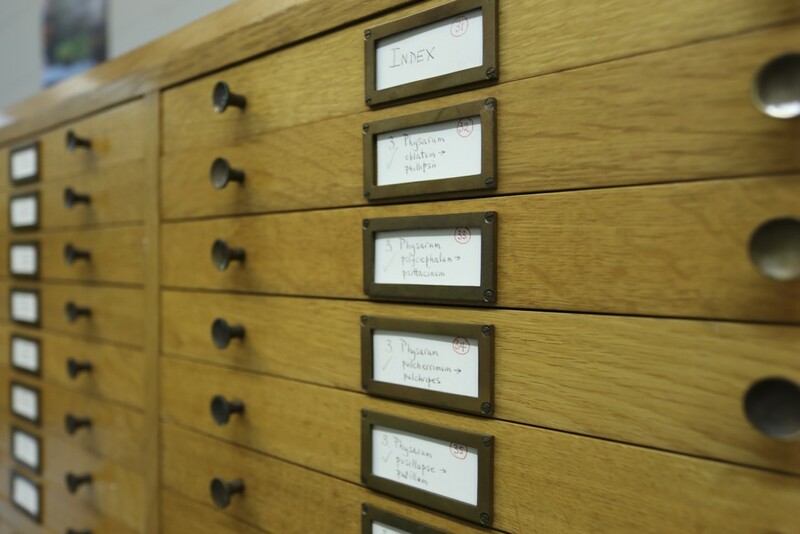 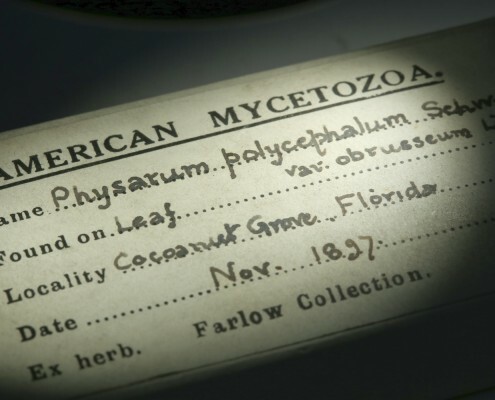 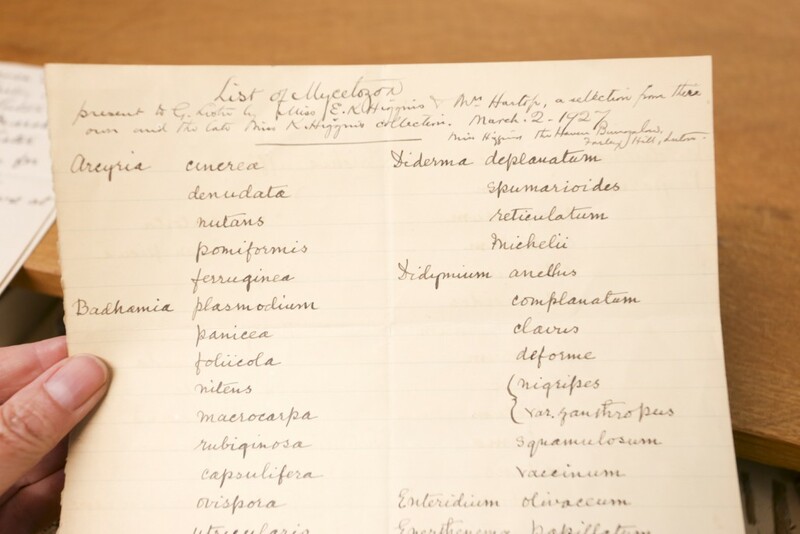 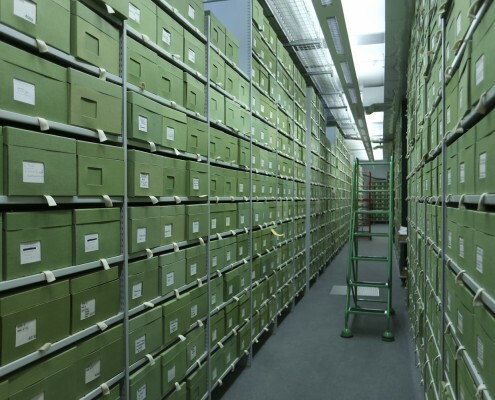 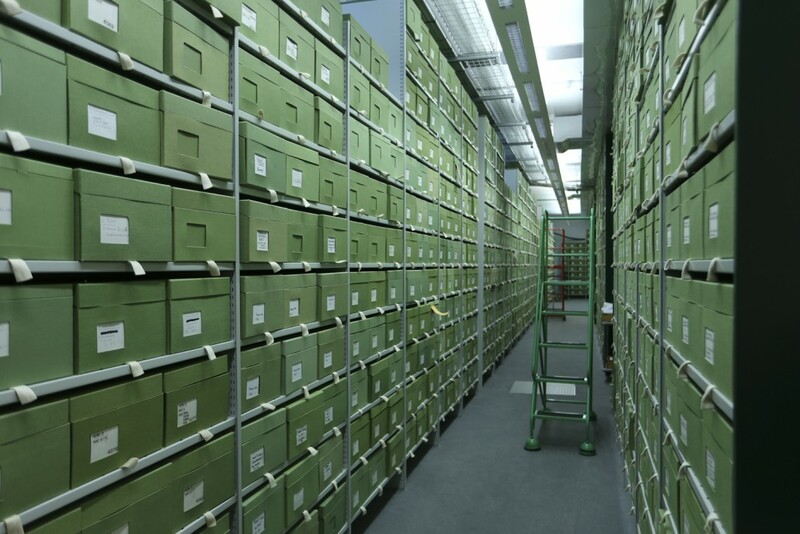 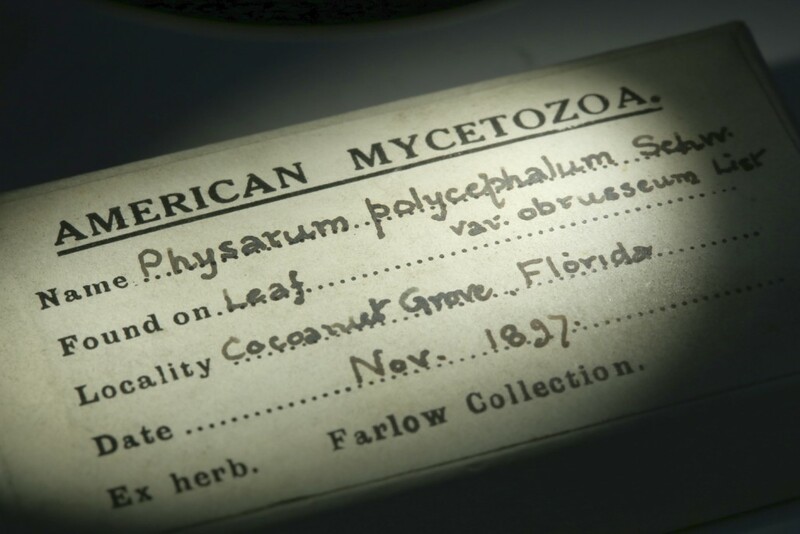 Kew Mycology Collection houses thousands of specimens of Myxomycetes (slime moulds) from around the world, some dating back as far as 1798. 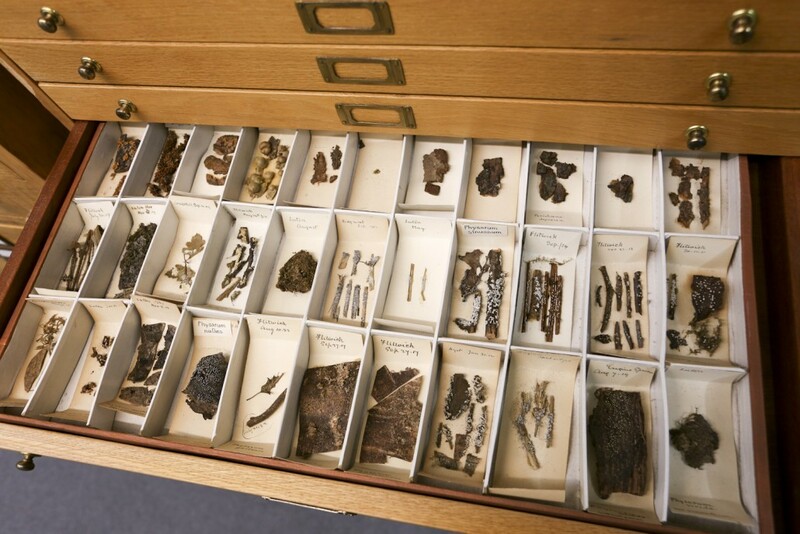 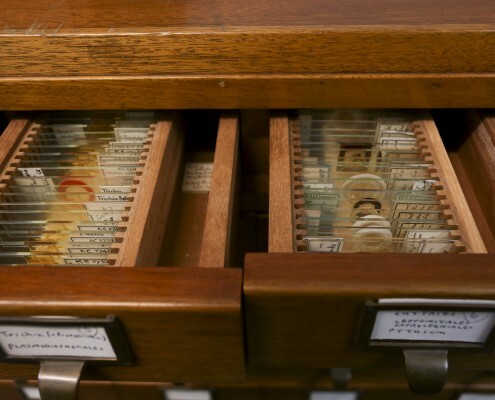 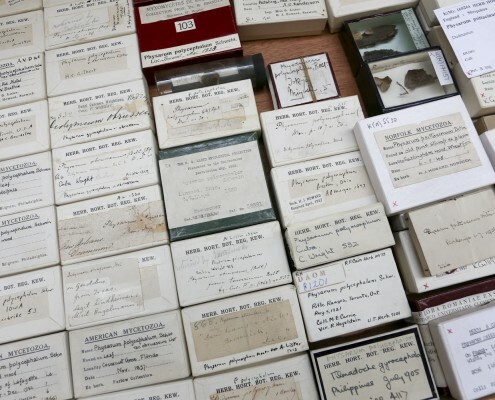 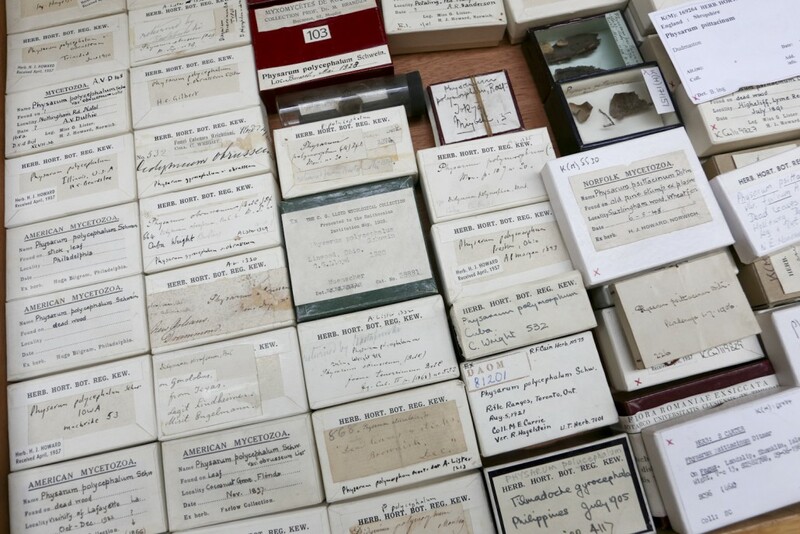 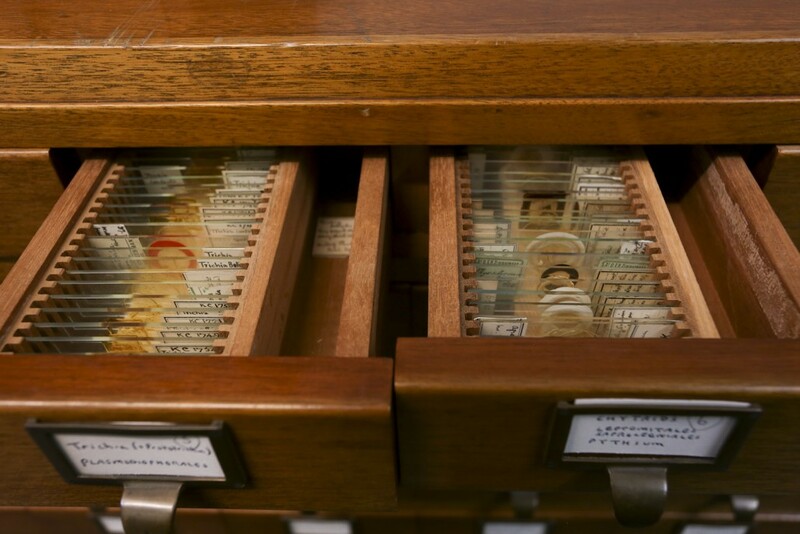 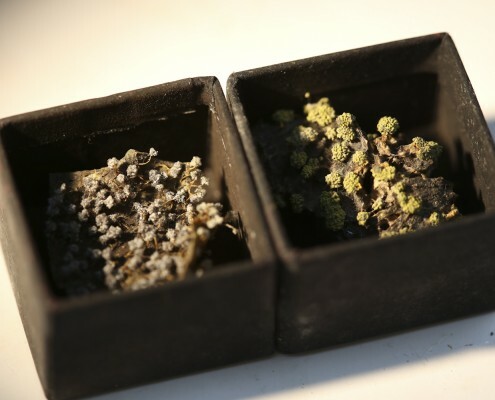 Drawers upon drawers of match boxes and envelopes contain the dried sclerotia and minute fruiting bodies representing a broad range of slime mould species (there are over 700 known species of slime mould), mostly with hand written notes carefully scribed by amateur collectors and professional naturalists. 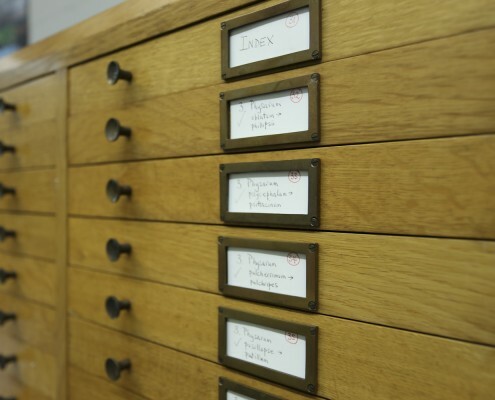 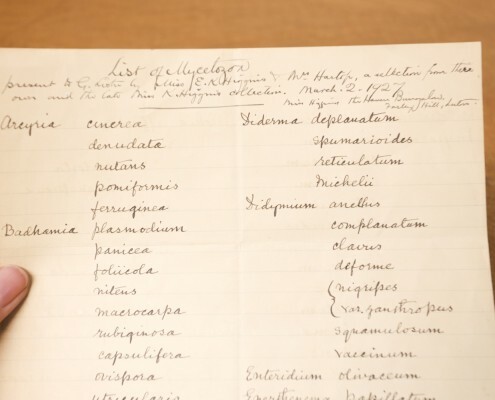 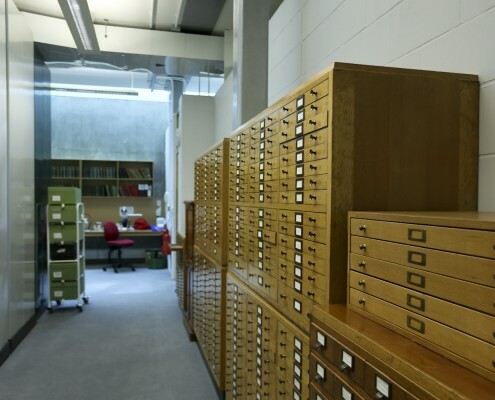 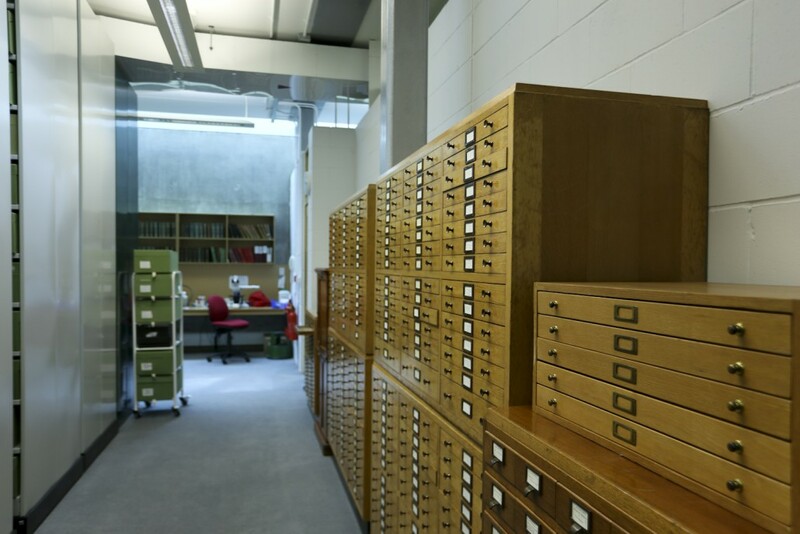 The aesthetics of the archive are abundant – the modes of classification, the meticulous inscriptions of the collector, and the methods of presentation – but my overwhelming urge was to moisten the entire collection in the vain hope that it might spring back to life. 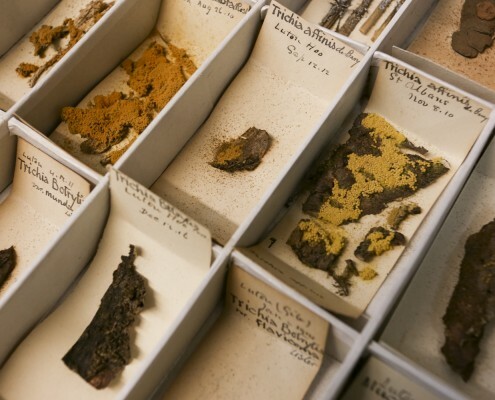 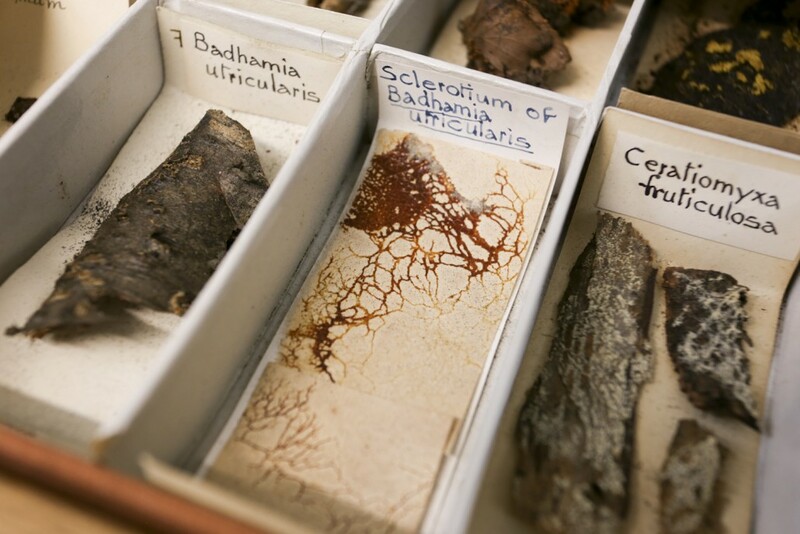 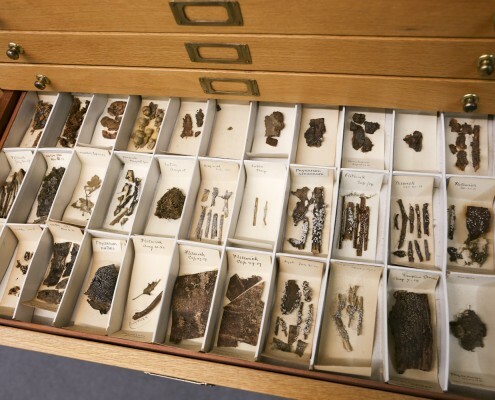 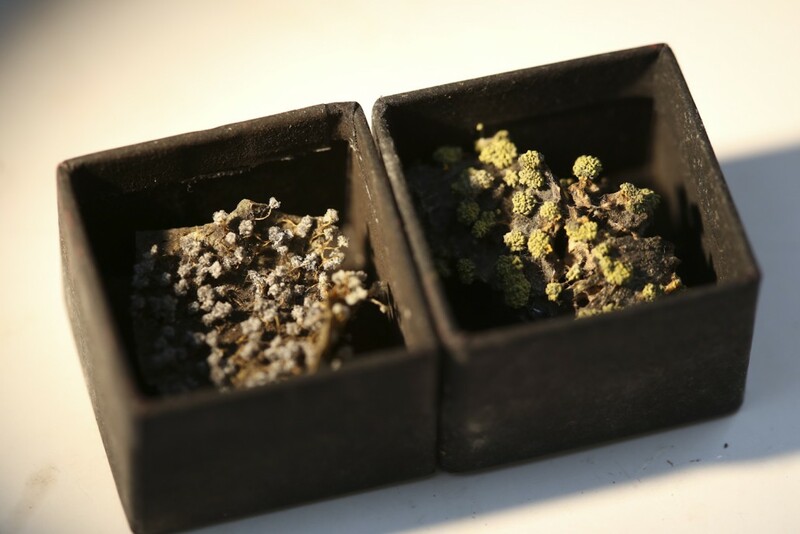 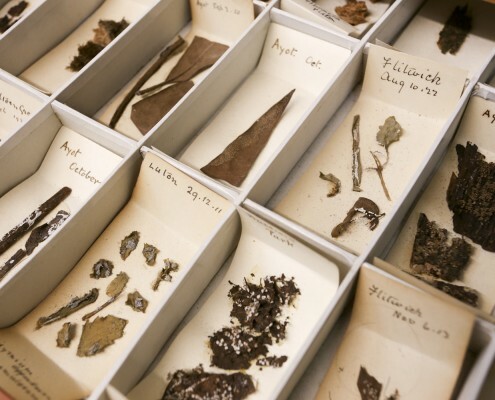 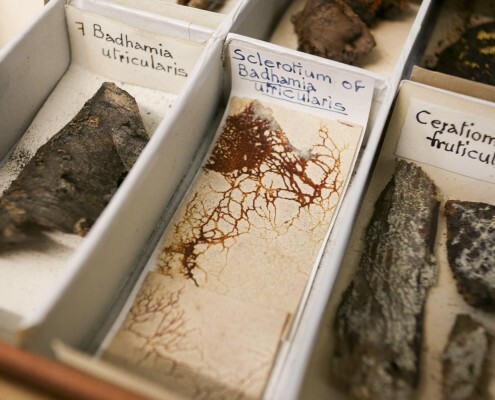 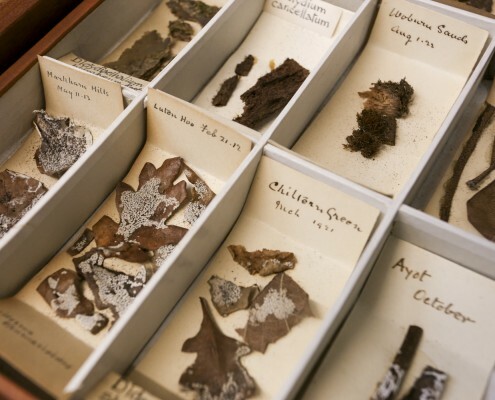 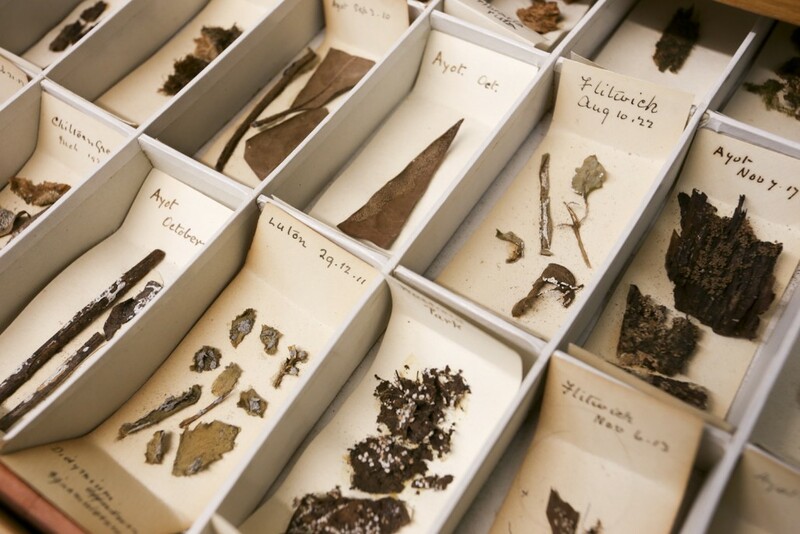 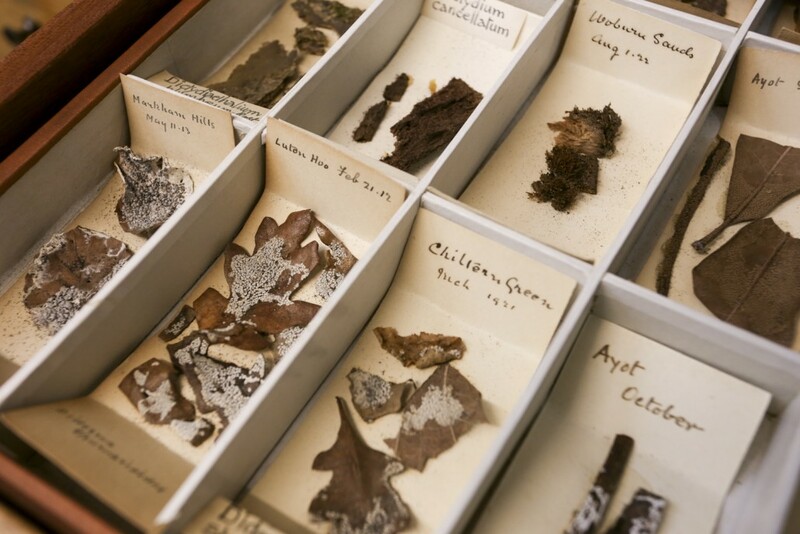 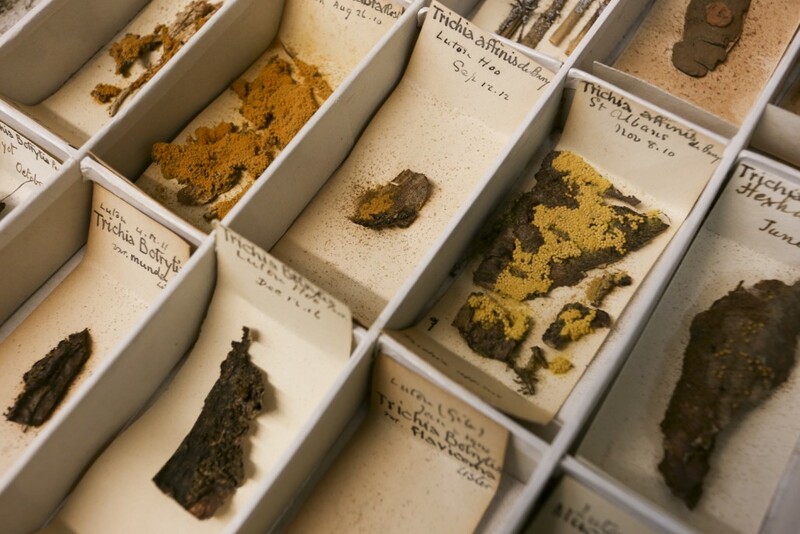 Dried specimens can be reinvigorated several years after forming a sclerotia scab-like state. 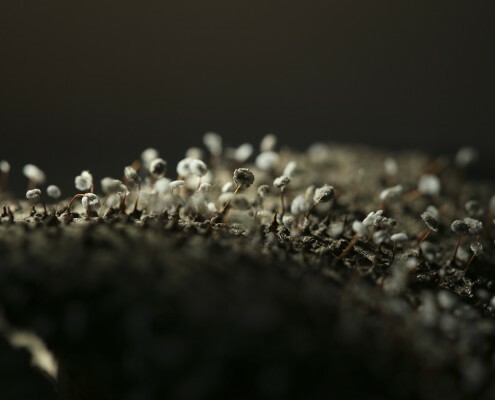 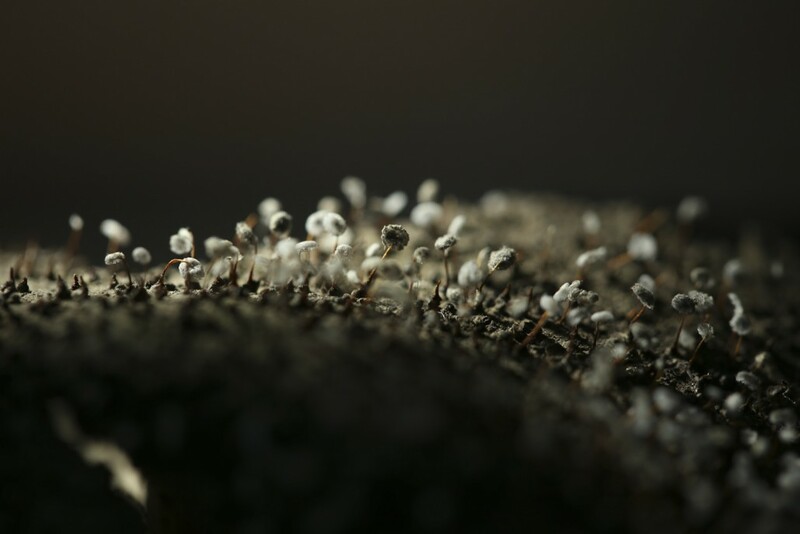 Wouldn’t it be incredible to wake up a slime mould dating back 200 or more years?